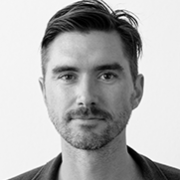 Kieran is a creative mind from Australia with an eclectic range of work that has seen him ranked as the world’s #1 Art Director at Cannes and #3 on the Gunn Report. Beginning as a fine artist, he worked his way though advertising and creative departments in Sydney and New York. He is the Ex-ECD of Leo Burnett New York and has traveled the world with his camera. His work includes photography exhibitions, music videos for Ben Lee and David Guetta, a creative program about the streets of New York and a new approach to a philanthropic fund raising platform for the UN.